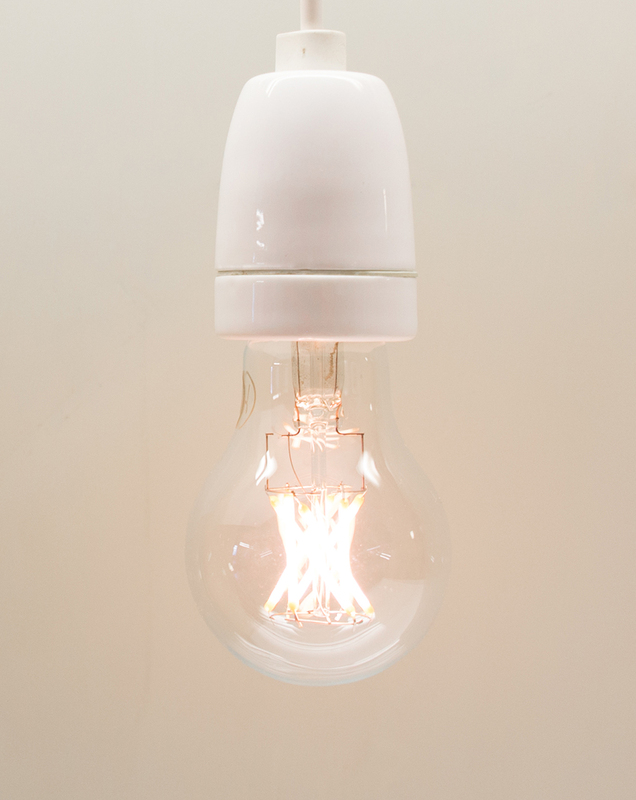 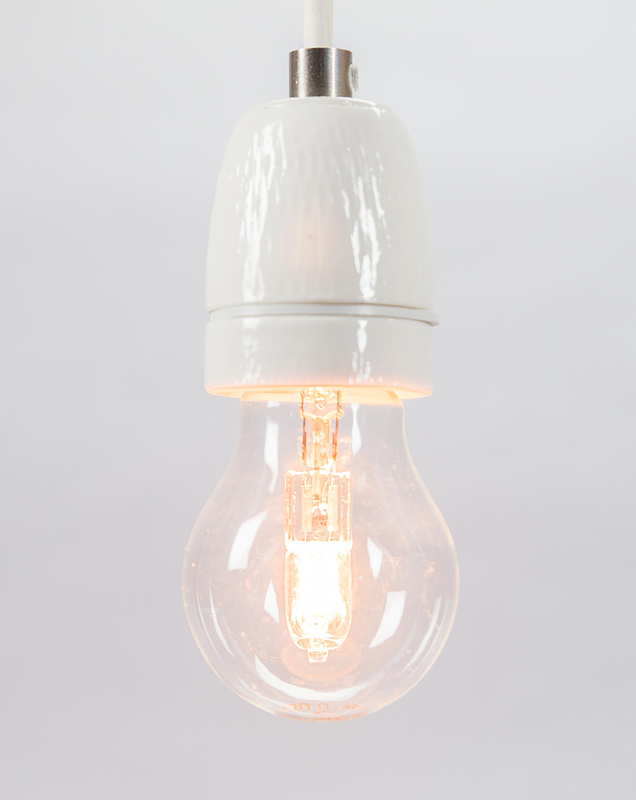 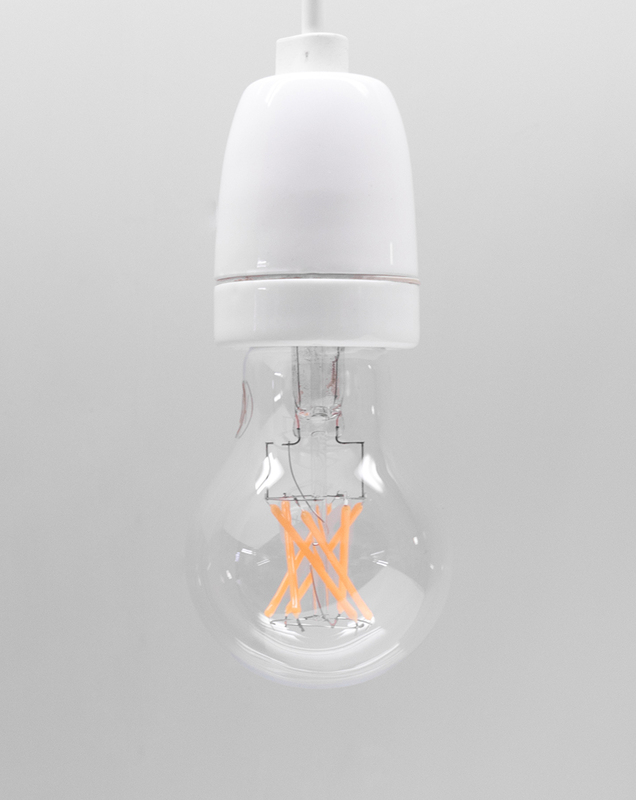 From our many favourites, this lamp is definitely in our the top five. 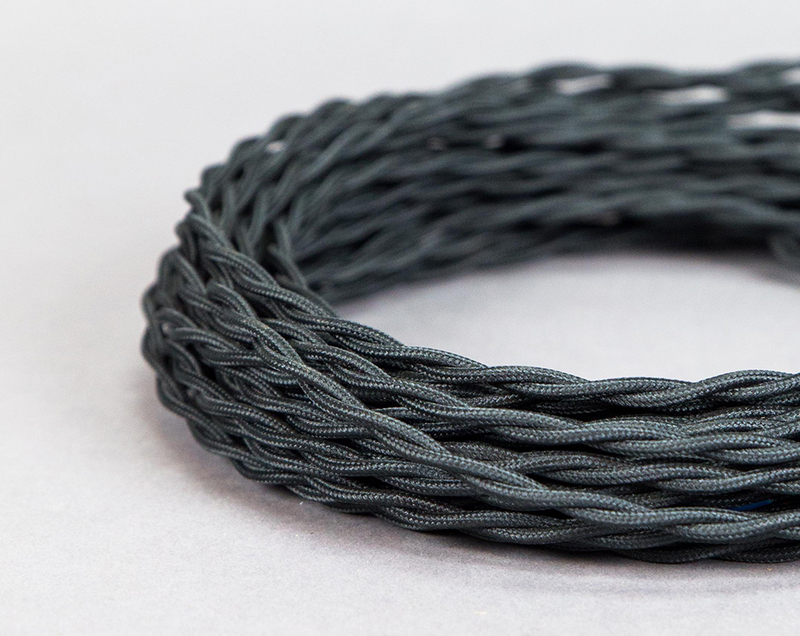 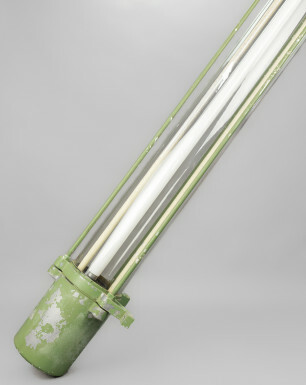 It consists of a green-coloured steel plate cylinder holding a glass dome that by no coincidence is named after a diamond. 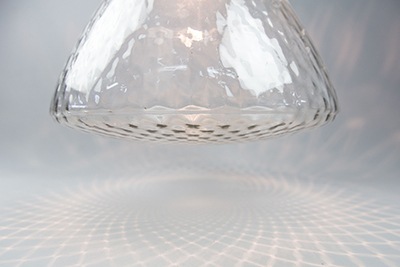 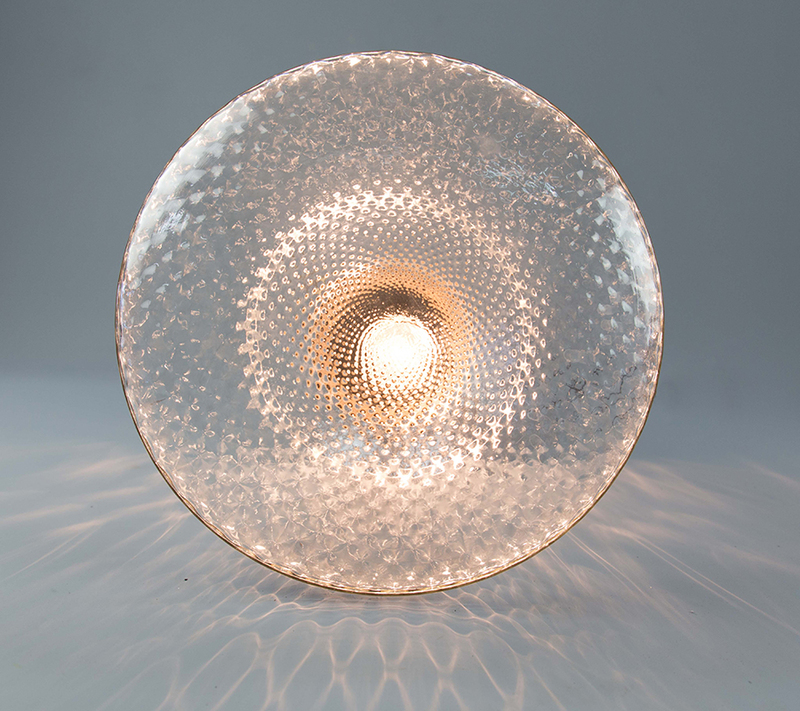 It has been polished in a way that the glass features small spheres, enabling the fixture to create an amazing light effect. 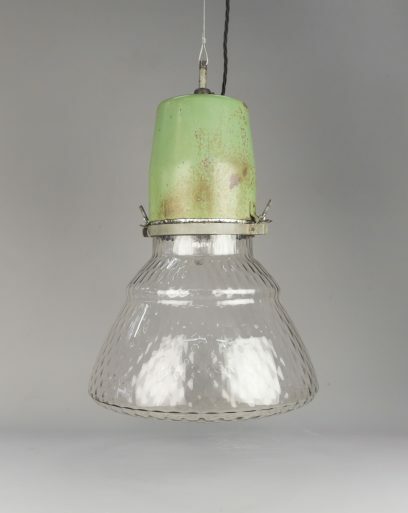 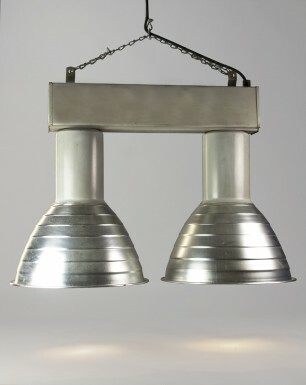 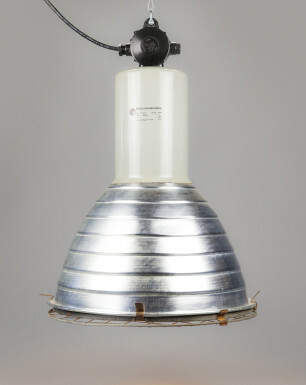 During the DDR era, these deep bowl reflectors were placed high at the ceiling to illuminate workshops and warehouses from great heights; we however suggest to give it a more prominent place. 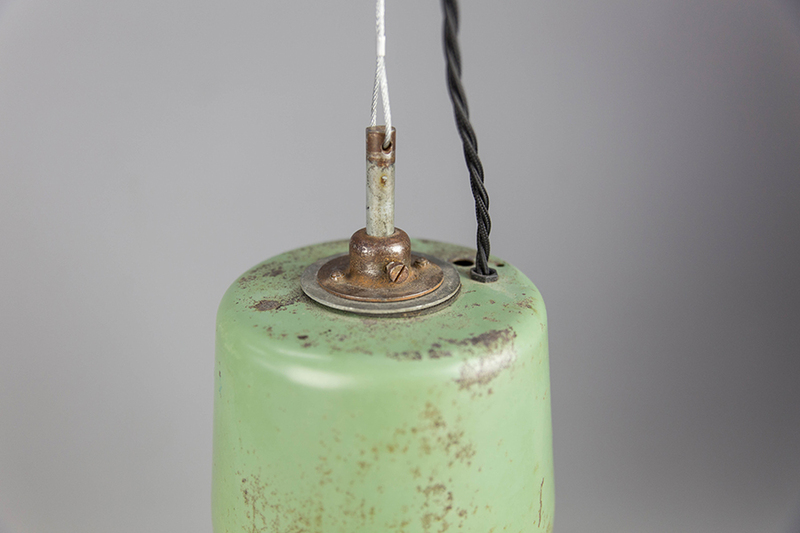 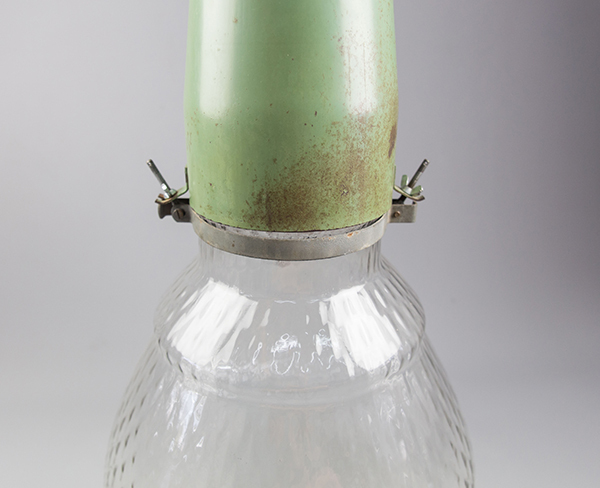 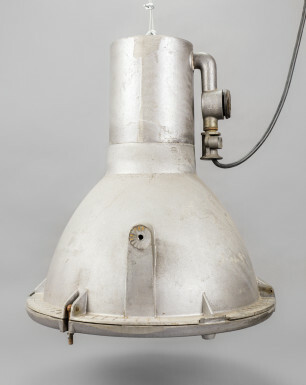 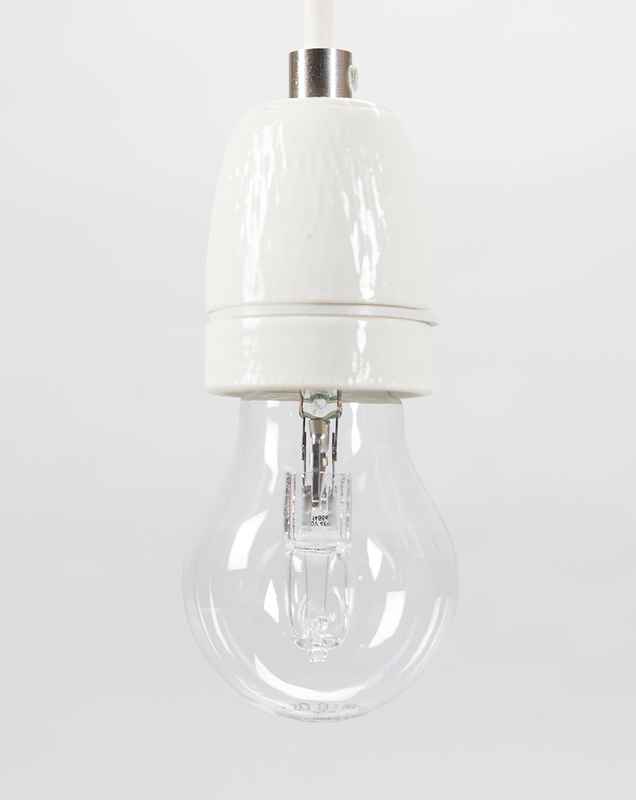 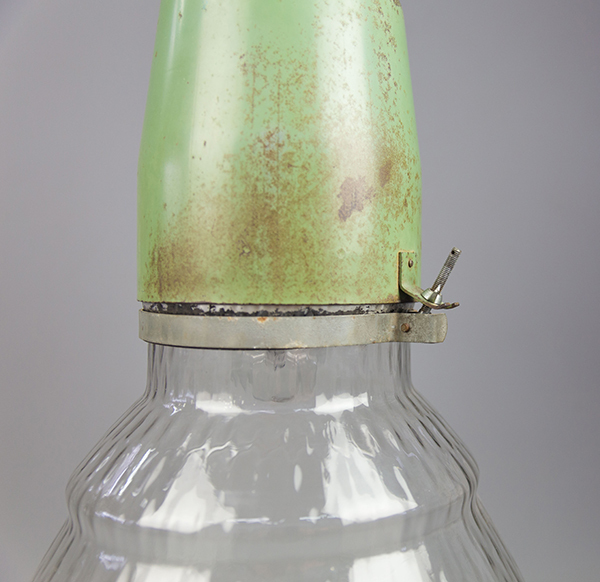 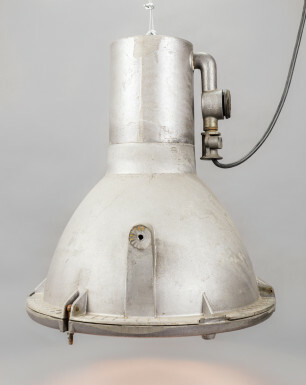 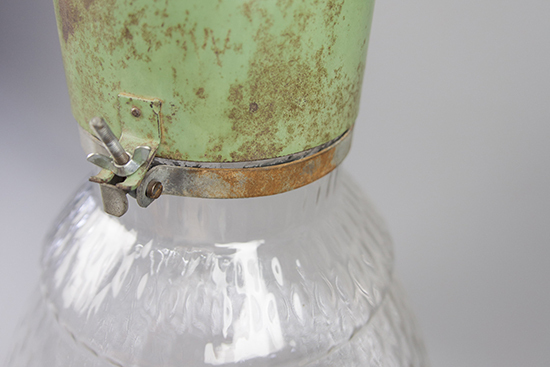 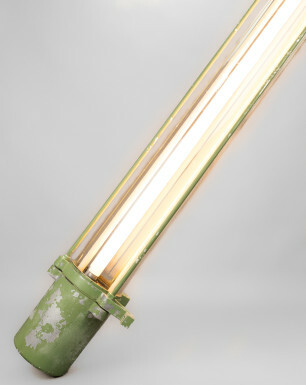 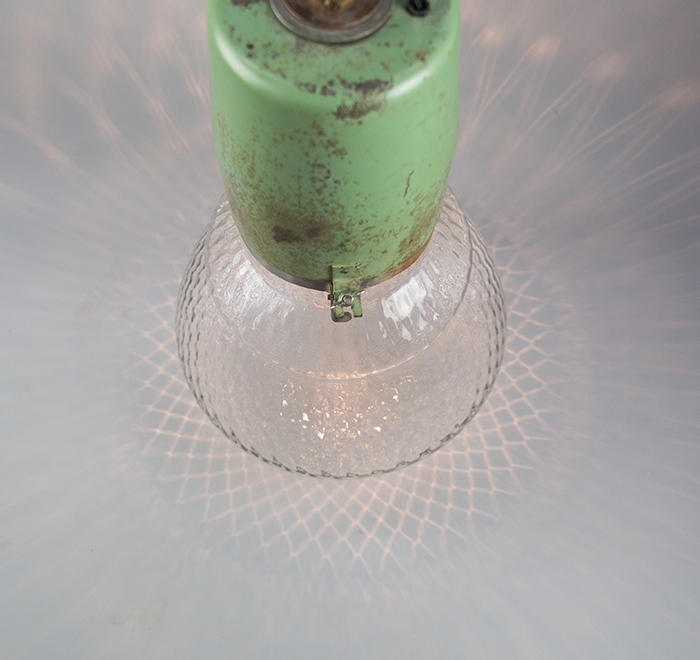 The lamp was salvaged from one of the largest laboratories In East Germany. 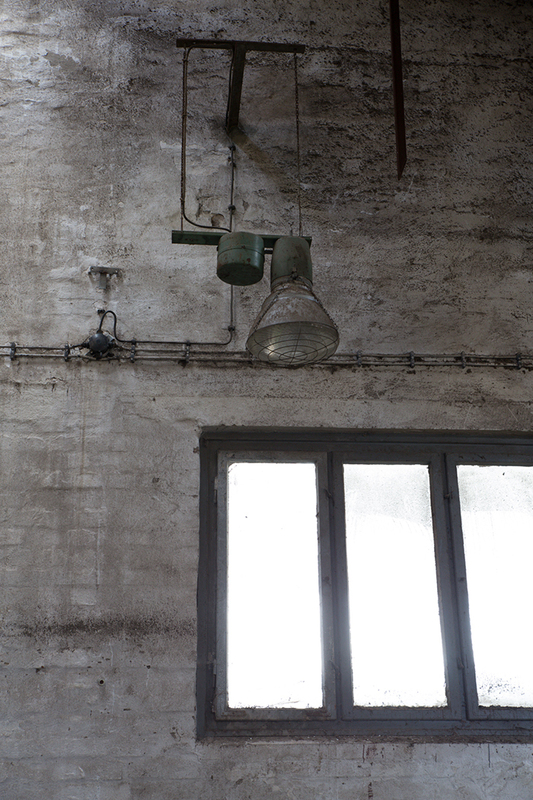 After WWII this lab was part of the soviet military administration, and became one of the state-owned companies until the reunification in the early nineties. 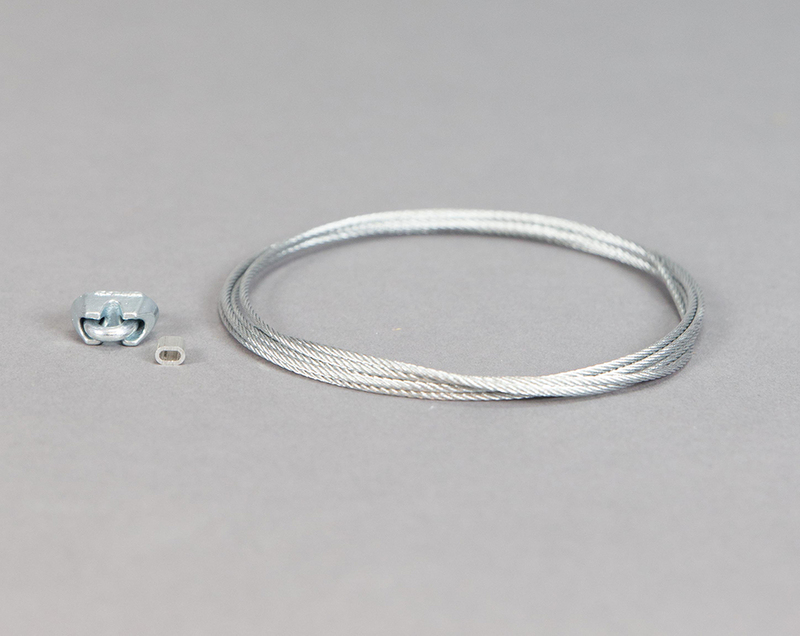 – passport describing its history and origin.